7mm wide flat court diamond wedding ring set with a squared arrangement of round brilliant cut diamonds 0.23cts in total. A masculine Wedding Ring featuring a square design of expertly Pavé set Diamonds. The Wedding Band is a substantial 7mm in width and has a flat court profile. The Round Brilliant cut Diamonds are a total of 0.23 carats, which have been graded G Colour and VS2 Clarity before being expertly set by hand. This precision set ring is as comfortable as it is eye-catching and comes in a choice of finishes, 18 Carat White or Yellow Gold and 950 Palladium or 950 Platinum. 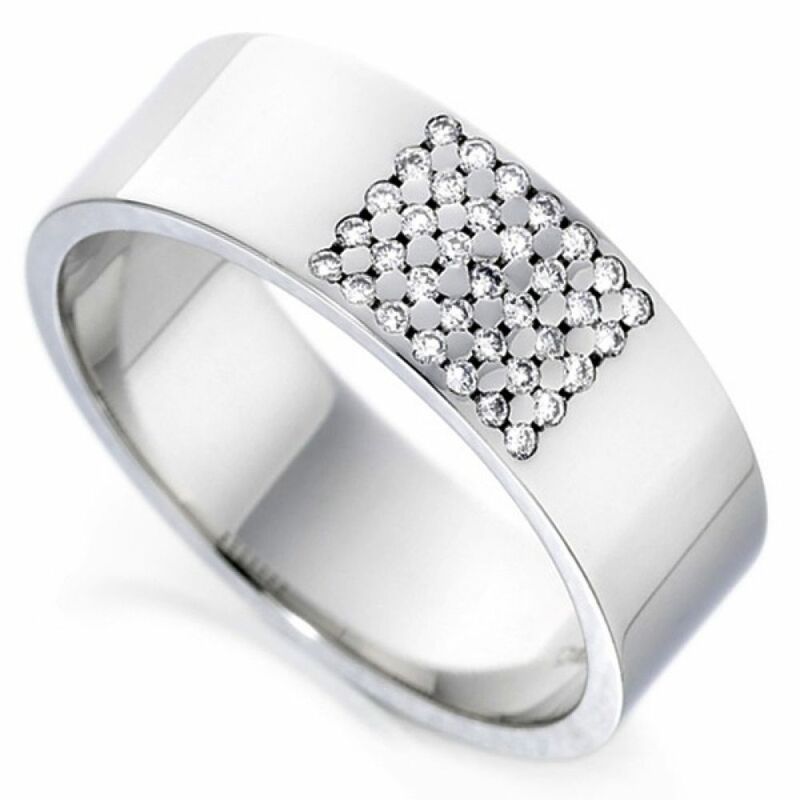 This stylish ring is crafted to order so please allow 4 weeks for delivery. It will then arrive to you beautifully packaged ready for your special day.